Two weeks ago I crossed Puget Sound and Hood Canal with my family to spend a weekend in Olympic peninsula to catch the last sun rays before rain goes back. Anyway I saw more rain than sun but that´s what makes this place so special. 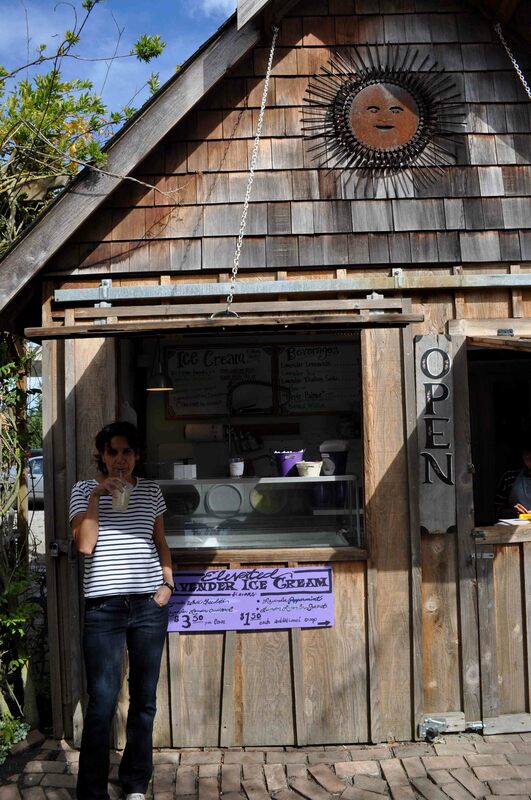 I wanted to see the end of lavender season at Sequim and to look up into its culinary properties. A few things are more Mediterranean than lavender! I picked Mike Reichner´s Purple Haze Lavender Farm to visit because in its on line shop I saw a wide array of culinary products. And I was not wrong. 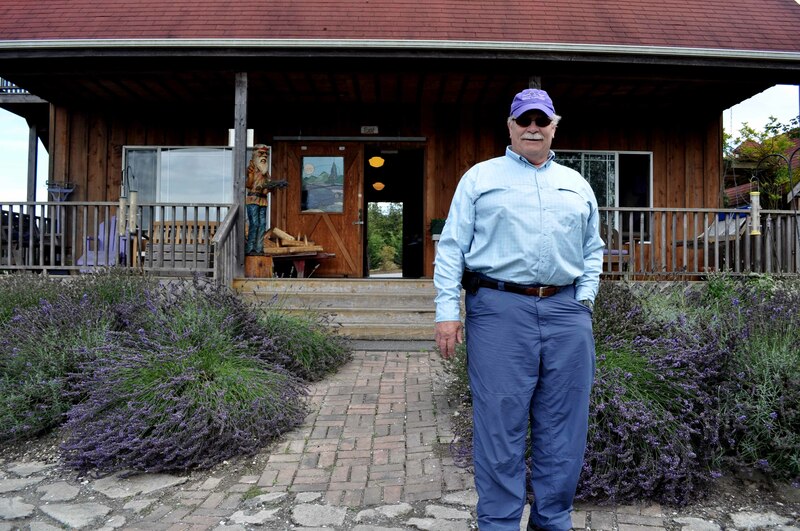 Mike is one of the fathers of lavender crops not only in Washington State but in the US. He began to cultivate lavender in 1995 after attending a conference about commercial opportunities for herbs cultivation. “I remember I was the only man,” he jokes. Sunny Sequim, protected by the Olympic Mountain rain shadow, and with less than 20 inches of rain per year, has similar weather conditions as the French region of Provence. So Mike thought it would be worth to take a chance. Today, more than 36 growers cultivate lavender in the valley, and an annual festival brings them all together to share their products with visitors. But Purple Haze Lavender Farm keeps on being the pioneer in offering new and innovative products extracted from his 12 acre organic crops. The visitor will find more than 30 lavender varieties and 15.000 plants in Purple Haze Farm apart from lavender lemonade and ice cream. I tried the lemonade and it was amazing! (see photo) And the smell was… so relaxing! But if you look closer, Mike will show you how every variety has its own characteristics. “For culinary uses you need to pick English lavender, sweeter and more subtle,” he explains. “If you use stronger varieties the flavor would overwhelm the food”. “The culinary products were the most risky option because people are only used to lavender properties in the Medical and Beauty fields,” says Mike. “I decided to begin with something not to innovative mixing lavender and Herbs de Provence”. Then the best seller came along: the salad dressing. I know I´m a bit traditional and not too fond in tossing salads with something different from olive oil and vinegar, so I opted for the herbs mix. But any good foodie find mustard, honey, chocolate and tea, among many products and a recipe brochure too to bring the magic of lavender home. 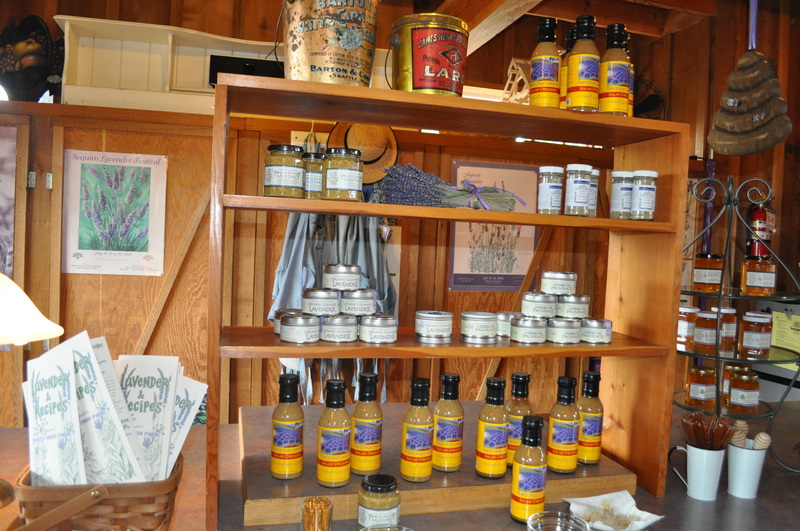 The farm is open from early May to Labor Day but now that lavender season is nearly finished you could find Purple Haze products on line and in their Sequim Downtown shop all year round. Posted on September 11, 2013, in Products and tagged Hood Canal, Lavandula angustifolia, Lavender, Mike, Olympic Mountains, Olympic Peninsula, Puget Sound, Purple Haze Farm, Sequim, United States. Bookmark the permalink. 3 Comments. Thanks! I hope you will find our blog inspiring… Welcome! Pingback: Blog @ Purple Haze Lavender Ltd. » Blog Archive » Adding a Purple (Haze) touch to your kitchen…..